The city’s first modern craft distillery has already changed the city’s drinking scene, as bartenders around town regularly incorporate its handcrafted spirits into their own cocktail programs. 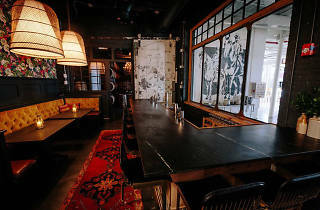 But now that Bully Boy has opened its own cocktail bar inside its expanded distillery, loyalists can drink inside the mothership. 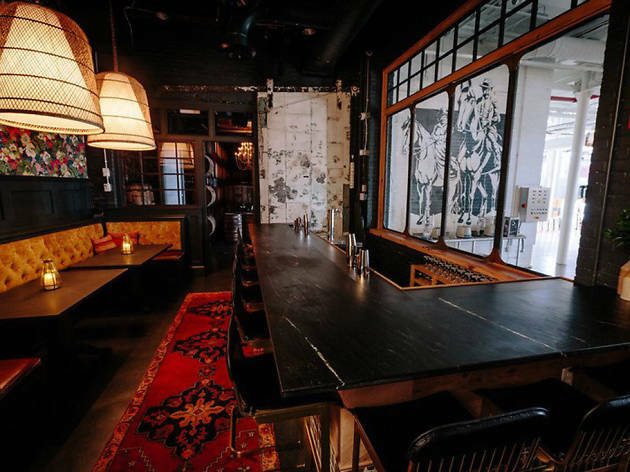 The intimate bar area offers lots of atmosphere via gothic wallpaper, velvet booth seating, and a collection of Prohibition-era spirit bottles on the top shelf; the only nod to modernity is the large window overlooking the facility’s handsome 750-gallon copper pot still. Each cocktail showcases one of the in-house spirits with fresh juices and small-batch syrups and bitters.